Today we have a Valentine’s gift for everyone that we think you are really going to love. 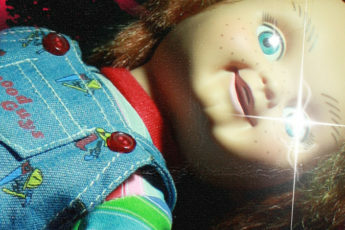 Our friend and frequent collaborator Ryan Harris has returned with another music mix, this time he brings us a short but sweet Valentine’s themed soundscape “Not Good With People” tinged with just enough horror to fit right in to what we do here. Upon first listen I immediately dug what he had put together and got down to business in creating an album cover to complete the project. To really get what the mix is all about and find out how it was cultivated and conceived, read on as Ryan puts it in his own words. “From Pierre Bachelet to Nico Fidenco, Brian May to Ennio Morricone, there is a plethora of Euro-style film scores out there with thoughtful themes, menacing melodies, and creepy climaxes – almost all worth your time. But what about the softer melodies and love themes that tend to go unnoticed in favor of the more catchy and striking tunes? That’s what I tried to focus on with this mix, Not Good With People. Below you can listen to and/or download the fantastic Not Good With People Mix for your listening pleasure and get a good look at the album cover art that the music inspired me to create. I have to thank my friend Holly for being the ever amazing model. Without her we wouldn’t have such a striking cover for this. She fit the concept perfectly and helped bring it all home. As Ryan and I discussed the title and how the image would reflect that, it just all fell into place. We hope you all enjoy what Ryan has done here as we will surely be collaborating on more projects throughout the year. Also be sure to follow Ryan on instagram and you can check his soundcloud page here ! NOTE: Soundcloud does not allow downloads on mobile devices but you can download the mix on your computers with no problem. 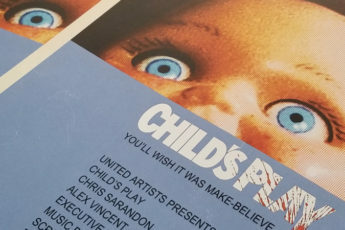 CHILD'S PLAY Prints On Sale Now!